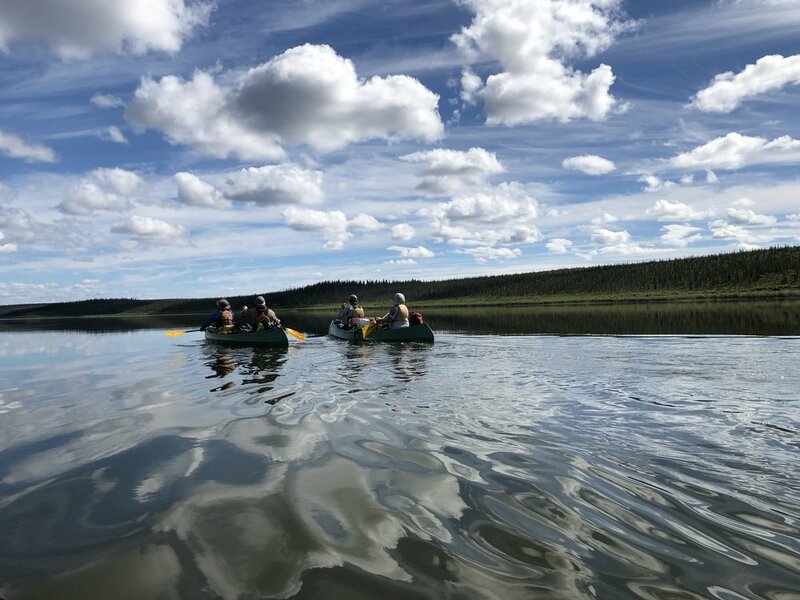 My father David first paddled the Thelon in 1991 and returned home telling stories of the endless tundra, the midnight sun and a truly untouched watershed. 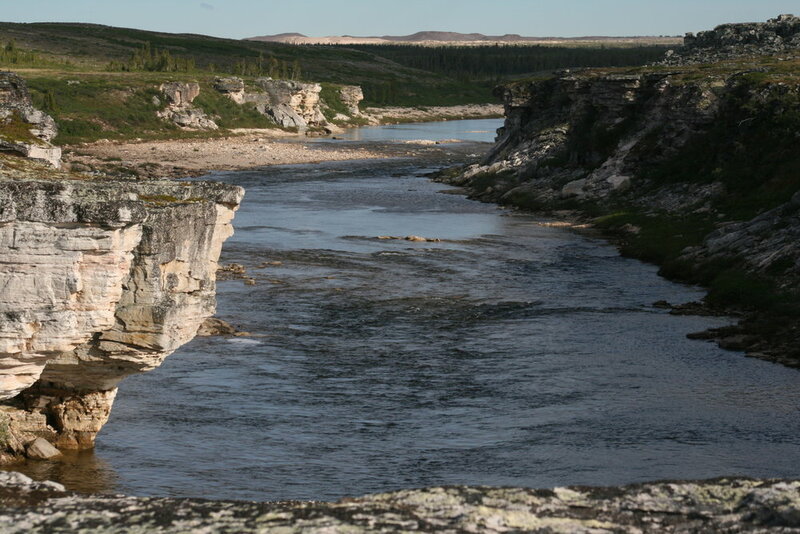 In 2007 I spent three months in the Inuit community of Baker Lake at the mouth of the Thelon river. 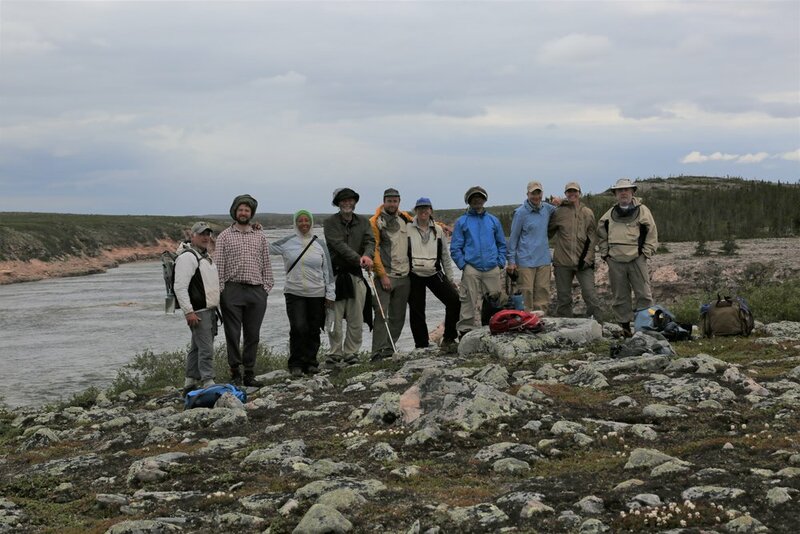 I was fortunate to be able to spend time out on the land and on the Thelon with local families learning of the cultural and ecological significance of this area. 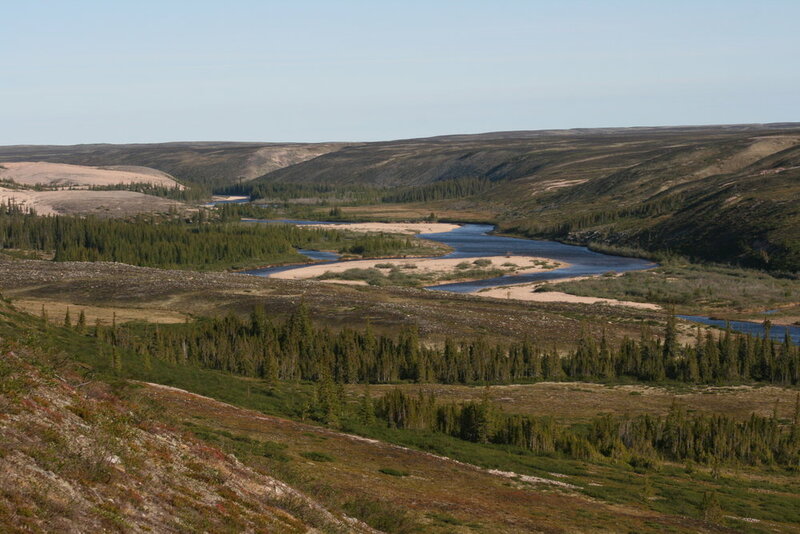 Like my father, I was captivated by the vibrancy of the barren lands and thrilled by my first sighting of musk ox and caribou. I arrived in Baker Lake at the end of May, just in time for one last arctic blizzard to blow through town, engulfing the community in snow and obscuring the sun that at that time of year remains high in the sky until late into the evening. As quickly as the storm blew in it retreated and spring began to take hold on the landscape. Before the ice went out on the lake I was fortunate to go “to the land” with a local family. I piled into the sled with the kids and our supplies and tried to contain my excitement. The ice was soft in spots but we were able to get across the lake to a hunting camp. On this weekend trip I saw the most stunning sunsets of my life, saw toddlers eat fish eggs scooped out of the belly of a fish just caught by their father and was generously fed raw caribou all while enjoying the laughter and teasing of my hosts. As the tundra bloomed with summer I took every opportunity I could to explore the landscape around my temporary home. Spring accelerated into summer with long, warm evenings and the lake even warmed up enough to take a quick dunk on my birthday. I learned to drive a quad across the hummocky landscape and how to hold on extra tight while trying to outrun the hordes of mosquitoes that had emerged with the wildflowers. During my months in Baker Lake I had not let go of my hopes that I would get to see a muskox. As my departure date loomed closer my optimism began to flag. 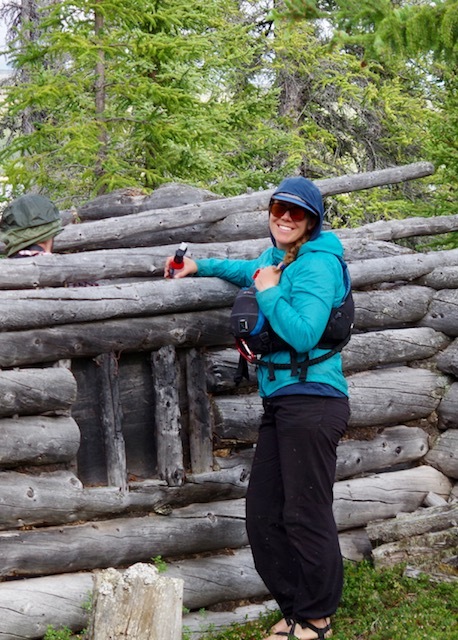 With a week left in Baker lake I had my final chance to go out on the land, this time by motor boat up the Thelon river. We travelled upstream to an area where the land rose steeply away from the river. We hiked up the hill to survey the rolling tundra, and there he was. A beautiful bull musk ox, hair blowing in the strong breeze coming off the river. Standing tall, on surprisingly short legs, he generously allowed us to watch him for a few minutes before he gracefully made his way across the tundra. Boarding my plane south I knew tundra had its hold on me and I knew I would return. That time came in in 2018 when I was privileged to guide a 12 day expedition in the Thelon watershed. It had been over ten years since I had last spent time on the tundra. As the float plane disappeared from view our group was left standing on the side of the small lake, its banks still dotted with patches of snow. An inhospitable wind blew across the endless landscape which felt eerily large and I experienced a loneliness that I had not previously felt in my years of remote canoe trips. As the days of the trips slipped by the sun warmed our backs and bathed the landscape with a golden light, enchanting us all. Settling into the rhythm of our trip the tundra began to feel familiar and I realized that I was experiencing the transition from spring to summer just as I had a decade earlier in Baker Lake. While the mountains will always be my home, the tundra will forever compel me to return to it.